In this section Bob describes his childhood. He was born in Germany into a Polish-Jewish family. 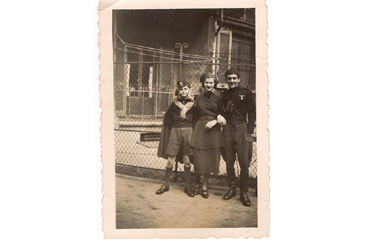 The family moved to France and then to Italy when Hitler came to power in 1933. BK: My parents were probably not for the better, for the worst were Poles. So we were really Polish, Jewish immigrants… from Poland. I was born in Germany though. INT1: Now I’ve heard before about your early years. I know that you’ve had a most exciting set of experiences that eventually did lead you to the UK. So, would you like to tell a little about them? INT1: What was he doing… in what way was he spying? INT1: Can we go back again now, where… maybe I should have begun with what happened after um… I suppose it must have been after Hitler came into power in Germany, how did it affect your family and then what then happened to you? BK: Um…. German Jews thought they were safe – they had been in the war fighting for Germany, they’d had their medals, their ribbons so they thought, “we’ll be alright. But these bloody, dirty Jews from the East let’s get rid of them.” Believe me the German Jews were as pleased to get rid of us as the Nazis were. So my father had to make the decision to stay or run, and we ran which was the best decision he ever made because they caught up with the German Jews soon after. BK: …We left Germany and went to France to a small town called Neuville. It was a charming little town, and I remember there as a little boy it was a lovely, idyllic life. Everything a child could want; including a wonderful school, where I learned GermFrench from the bottom up with no difficulty and found that I can’t sing but I can do languages. So um, I went to school there and learned French pretty well, made a lot of childhood friends, and then my father went broke. He started a little business by Neuville. My father was quite good at going broke as you find out in the later years. So we moved to Paris thinking that was salvation and, as many people know, Paris was as anti-Semitic as anywhere else, in fact, it was highly organized anti-Semitism. The only thing is it was never officially recognized. The difference there was they didn’t give you labour permits or permission to do anything so you starved on your own quietly. 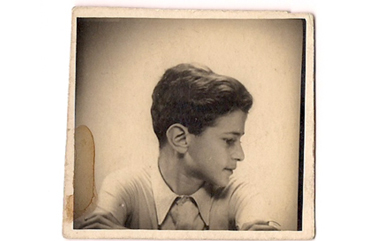 I discovered, but this was afterwards, there was a Jewish refugee organization which took care of young kids like me. In my case they sent me to Switzerland to stay with a Swiss family for a few weeks and I fell in love with them. They were very good to me. This I have a clear vision of – I was ten, eleven by then. Anyway that was awful life, awful, and my father couldn’t get permission to work so with little money we had, if any, went. Then my father got cancer and cancer in the middle thirties was something else. BK: Oh sorry, sorry, of course. Well we left Paris with great difficulty. Oh no… I been sent back to Switzerland again to those lovely people and stayed with them for 6 months. And then had to start school all over again- not the language, but the history, the geography, everything, all from the bottom. I was started in the bottom class but was promoted very quickly to my own level. So that was Switzerland 6 months in bliss with a wonderful family. The guy was quite an important big shot in his own village and it was lovely. INT1: You mentioned five of you… were you? INT1: Brother…and were you the oldest? BK: My brother was 6 years older than me, my sister four years older. My brother was very much the leader in every kind of mischief, he was the leader. 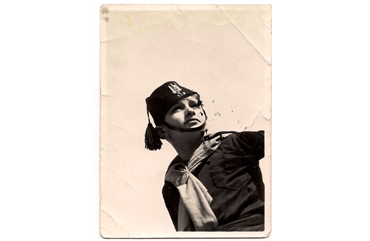 So, when the Mussolini thing got very difficult because although, to begin with life in Italy was lovely. The Italians didn’t know from anti-Semitism. They had no idea, they didn’t want to know I think. But then suddenly because of pressure from Hitler, Mussolini introduced an official anti-Semitic policy.